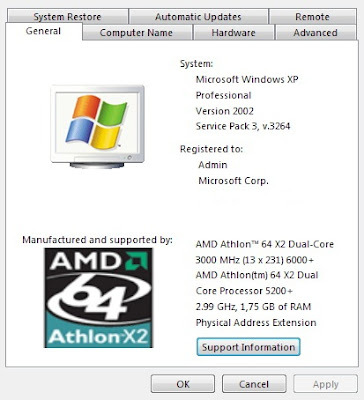 This is the self-extracting executable that contains the update package for Windows® XP Service Pack 3. Windows® XP Service Pack 3 (SP3) includes all previously released updates for the operating system. This update also includes a small number of new functionalities, which do not significantly change customers’ experience with the operating system. This pre-release software is provided for testing purposes only. Microsoft does not recommend installing this software on primary or mission critical systems. Microsoft recommends that you have a backup of your data prior to installing any pre-release software. Directed to the latest news. Update from all Beta and RC Versions from SP3 running without any problems. 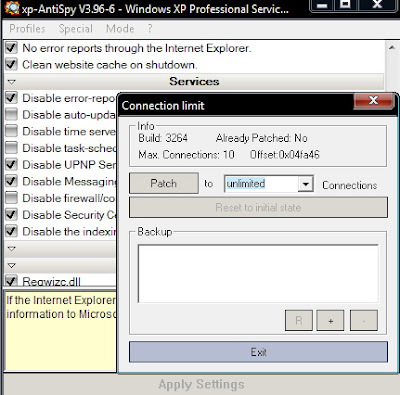 Max TCP Connection limit 10 need to be patched for P2P after installation to unlimited using xp-antyspy as well possible unwanted running services which use system resources such as securety center if u have 3th applications such as AV+Firewall. It's a refresh of Windows XP Service Pack 3. So if you are still stuck on XP, by choice or not and you're a tester.. then it's available for download now! This build will be made publicly available soon, but there are 2 points to be aware of troopers! 1. Even though the update packages are the same as RC Refresh, it is referred to simply as Windows XP Service Pack 3 Release Candidate, to avoid confusion for people who have not tried these releases before on a private beta. 2. There will be a public forum on TechNet to support that release. If you choose to read or participate on that forum, we ask that you continue to observe your NDA regarding schedule, beta releases, bugs you've logged through the private beta program, or other information you have obtained from the beta program.